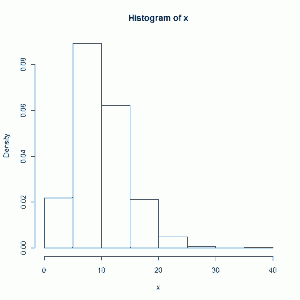 Randomly select several values, say 10, from a standard Normal distribution. 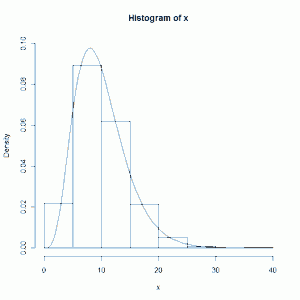 That’s a Normal distribution with a mean of 0 and standard deviation of 1. Now square each value and sum them all up. That sum is an observation from a chi-square distribution with 10 degrees of freedom. If you picked 12 values and did the same, you would have an observation from a chi-square distribution with 12 degrees of freedom. I had to experiment a little to get the 0.10 value for the range statement. 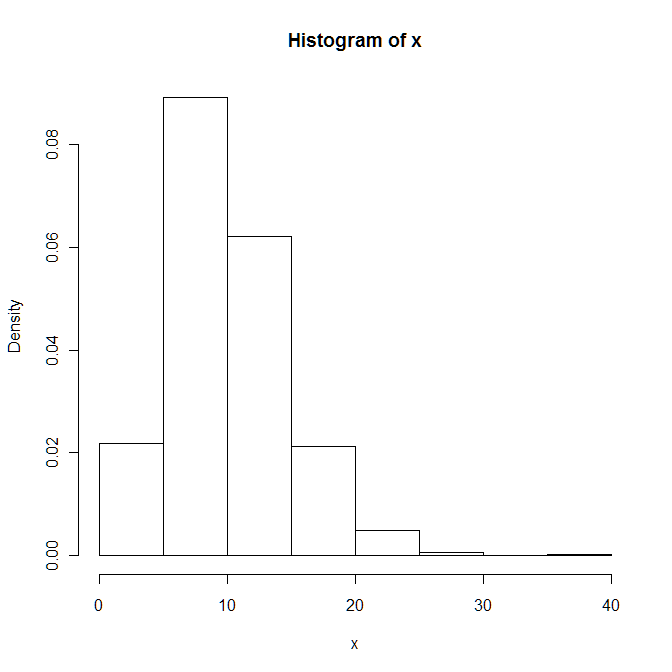 That was necessary to do in order to keep R from setting the displayed range of the y axis from being to small. where r is degrees of freedom and x must be positive. And, yes, I think it looks pretty frightening if you're not used to that sort of thing. 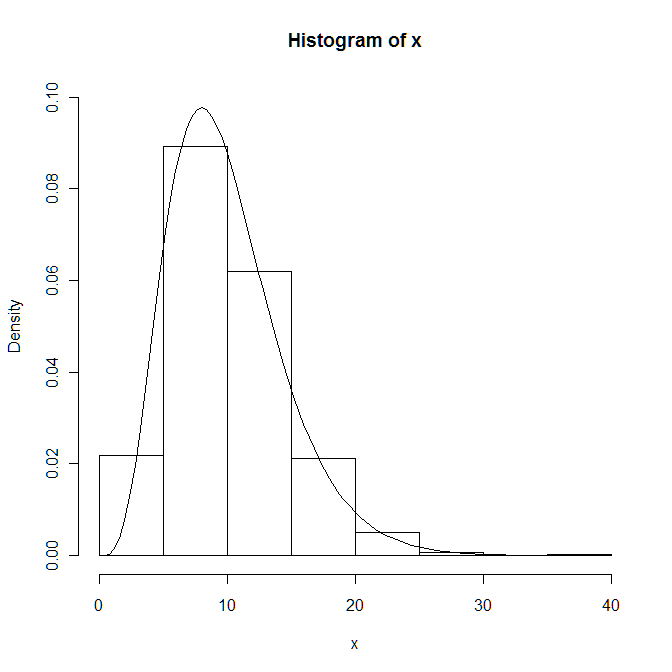 This entry was posted in Continuous distributions, Simulation, Using R on August 7, 2011 by Clay Ford.